The Pentax 645D has received yet another major drop in price. Originally retailing for $10,000 when it was introduced five years ago, this 40 MP medium format monster is now selling for $4,000, less than half the price. We may not all be ready to whip out our wallets, but at less than $4,000 the 645D boasts one of the best digital medium format values on the market. Beyond the beast�s 40MP CCD sensor, it boasts a weather-sealed magnesium alloy body with a 3-inch 921,000 dot screen. 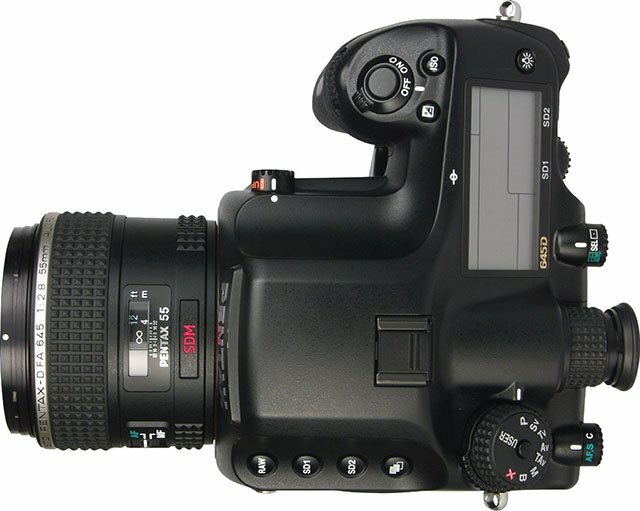 The unit is compatible with Pentax�s 645 lineup of medium format lenses and features a 77-segment through-the-lens metering system. For the highest clarity, the 645D�s pentaprism is crafted from glass. The 645D is technically an �outdated� camera since it is half decade old and has been succeeded by the newer Pentax 645Z that sells for $8,000. The newer �Z� model features a 51.4MP CMOS sensor, upgraded screen, and the ability to shoot 1080p HD video. Picking up a fully modern digital medium format camera isn�t inexpensive, but the recent price drop for the 645D shows us that we are getting closer to affordability than we ever were before.�What is potentially most interesting about the new price drop is that the 645D is now within high-end DSLR territory: Canon�s 5DS costs $3,800, while Nikon�s D810 costs $3,000. It should be noted that all of the camera prices mentioned above do not include lenses, they are for the camera bodies only. If you�re interested in learning more about the 645D or picking one up for yourself, you can find it for sale over at B&H.